And it always seems like making it through the dryness is nearly impossible. Struggles that aren't normally an issue suddenly loom large. Our brittle spirits can't quite handle battles with the strength they once did. How do we stand firm in our faith when issues arise, and we aren't fresh enough to face them? The answer is found in where we're planted. I love Psalm 1:3. It tells us that when we draw near to God, we will be like "a tree planted by streams of water, which yields its fruit in season and whose leaf does not wither...."
Friends, do you see that? We can yield fruit in all seasons, and we won't wither! Dry seasons will come, for sure, but that should describe our outside location not our inside experience. Yes, we'll have times where everything around us is cracked and broken, but we can remain internally strong if we draw near to Jesus. He is our source. He will renew us. He will keep us fresh. And he'll produce fruit in us, even when everything around us is barren. He's able to because he's our water! Drinking from him ensures we will never run dry (John 4:14). 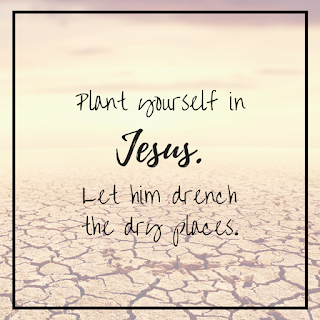 So today if you're struggling through a desert, check to see where you're planted. If needed, move your roots closer to the Well that never runs dry. Dig into the Word. Spend time in prayer. Spend time simply listening to him. Your external circumstances may not change, but your internal ones will--and that's all you need to make it through. No, it's not easy. Dry seasons never are. But you can be victorious in them when you tap into the only Source that will give you the necessary strength to make it through. 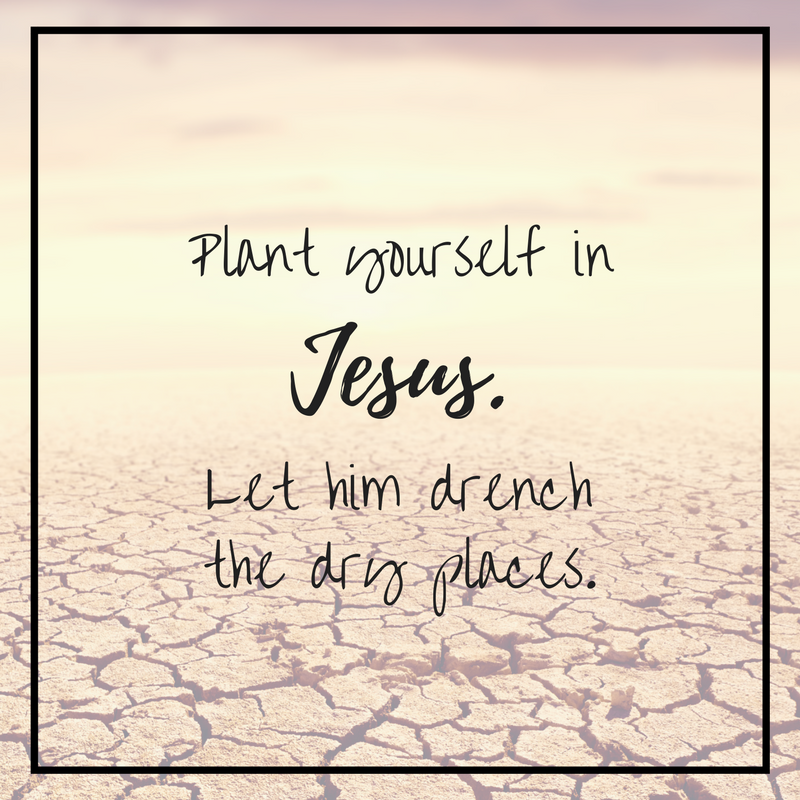 Plant yourself in Jesus, and let him drench your dry places. Such an encouraging, truth-filled post, Susan. Thank you! Aww..you are welcome, sweet friend!